Even if you’re one of the diligent few who takes meticulous care of their teeth by brushing and flossing multiple times a day, you may find that your sparkling smile has begun to lose its luster over time. 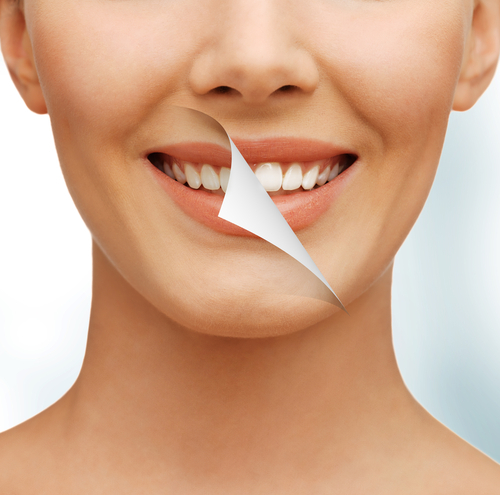 This is nature taking its course, but it doesn’t mean we can’t help restore teeth to their natural, white appearance. Here at Family Dental Care Center, we provide the residents of Lansdowne, Drexel Hill, Aldan, and their surrounding communities with premier teeth whitening services. Proper oral hygiene goes a long way in preventing stains, but things like coffee, tea, cigarettes, medications, and aging all contribute to tooth yellowing and discoloration. If you have researched professional teeth whitening services, you are most likely familiar with the relatively high cost – much more expensive than at-home alternatives – of in-office teeth whitening. What we wish to convey to every potential teeth whitening patient is the safety and effectiveness of having the service performed by a professional. The time, money and effort you put into at-home remedies will likely exceed that of a professional whitening procedure, whereas we can complete whitening in a safe, controlled environment. Over-the-counter (OTC) whitening products, prescription gels, and professionally applied treatments ALL contain carbamide peroxide as their primary bleaching agent. What sets chairside bleaching apart from OTC products and prescription gels is the composition of the active ingredient carbamide peroxide, which we use in its advanced and concentrated form. Differing from at-home whitening kits, which contain only a small dose of the active bleaching agent, clinical in-office whitening procedures are carefully monitored and consist of a higher concentration of bleaching gel. Keep in mind, for this reason, that some patients may experience temporary tooth sensitivity and moderate irritation in the softer tissues of the mouth. And we mean fast. Because the concentration of the active bleaching agent is higher in clinical applications than at-home whitening products, results are visible the moment the procedure is complete. Whereas take-home kits require almost a month to see results, professional dental whitening can occur in as little as one hour. You won’t have to wait at home for several weeks for that brighter shade of white to appear. One of the major advantages of in-office whitening procedures is the ability of a dentist to perform a dental examination and consultation, before applying any whitening material. The American Dental Association recommends that everyone undergo a dental exam to ensure their teeth and gums are healthy enough for bleaching. This practice will also allow the dentist to determine how to best approach your particular stains and discoloration. Additionally, certain bleaching materials might interact with filling materials, if you have any in your mouth. It’s important to be aware of these things before choosing a whitening product or having dental whitening done professionally. It’s important to note that tooth discoloration may be indicative of a specific underlying disease or condition that requires other types of preventative dentistry. Please speak to your dentist to determine if teeth whitening products are right for you. We hope you feel more informed on the advantages of professional teeth whitening procedures compared to at-home alternatives. Serving Lansdowne, Drexel Hill, Aldan, and the surrounding areas, we look forward to jazzing up that beautiful smile at a moment’s notice. Family Dental Care Center offers a variety of other dental services, such as routine dental cleanings, an essential part of keeping your teeth clean and healthy. We also offer dental veneers to bring back that beautiful, full smile, in addition to emergency dental care in the event you have a medical need to see a dentist immediately. We look forward to meeting all of your dental needs. Contact us at 484-791-2138 and visit our local practice in Lansdowne today!